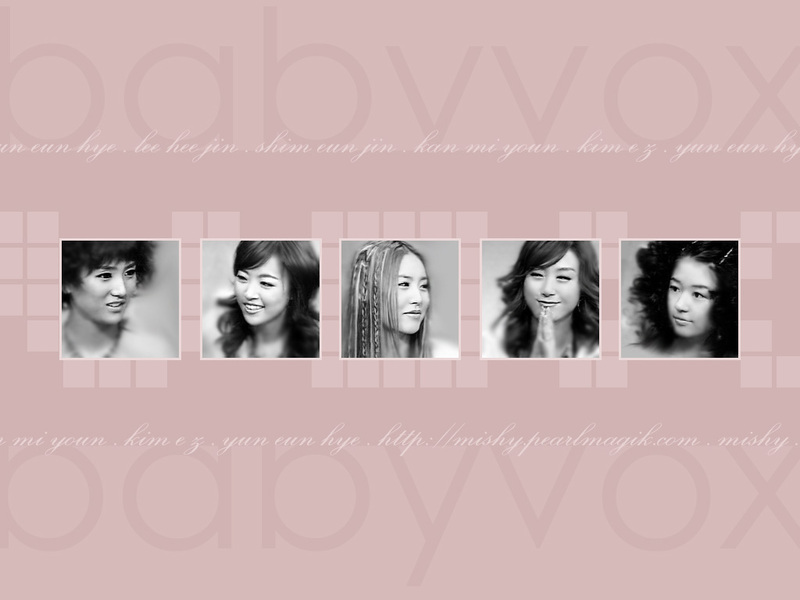 Hello~ feel free to use my wallpapers. But please don't link them directly from this server - host them on your own. Thanks! i love this picture of mi youn. 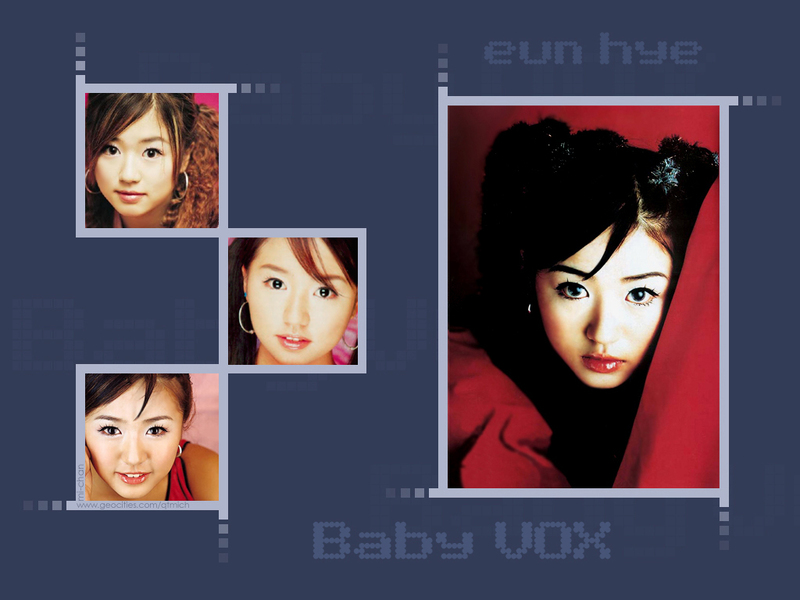 she looks so sweet and gentle *sigh* actually i was reminded to do another mi youn wp (b/c i was thinking of doing it before but i got lazy i think) by someone that found my website and really liked the babyvox wps ^_^ it's not perfect but it still looks good, i think. my dad bought the photobook for me when he was in korea but my scanner doesn't work.. so i borrowed the scanned photos from peko's beautifulvoices.net superduper babyvox website. 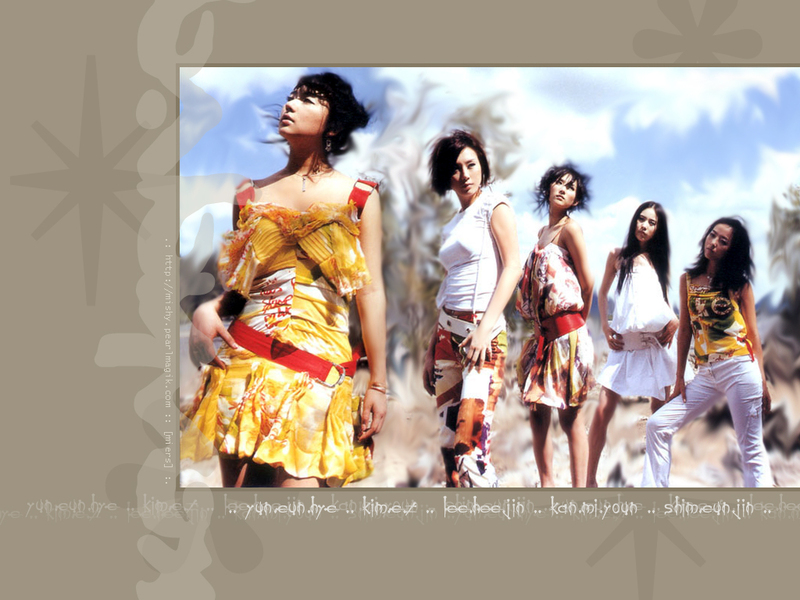 the girls are as lovely as ever :) their style here is from their devotion album.. from the song "devotion" actually. i loved that song even before i saw the MV. the pinkish color is kind of inspired (i guess) by may's webpage. and the pictures are clips from a tv show appearance. i like it. i like simple nowadays. complicated can be bad. >_< rock on, babyvox. I finally made a wallpaper of E Z. it's about time, huh? I don't have that many decent pictures of her (quality-wise and sometimes i just don't like her facial expressions) but she looks pretty in the green dress. I'm not completely happy with the end result so I might have to do a different one. omg. i love her. she's so friggin cute. ta be ta i .. ^_^ i actually have my hair like hers sorta today. it's a little wavy ^_- hhehe. i can't be THAT cute tho. -_- not possible. and slowly, erin and i are turning the world into babyvox lovers. :D hehe. one by one! naoto, grayson, and soon, jay will want to listen to them. :D muwahHAHA. 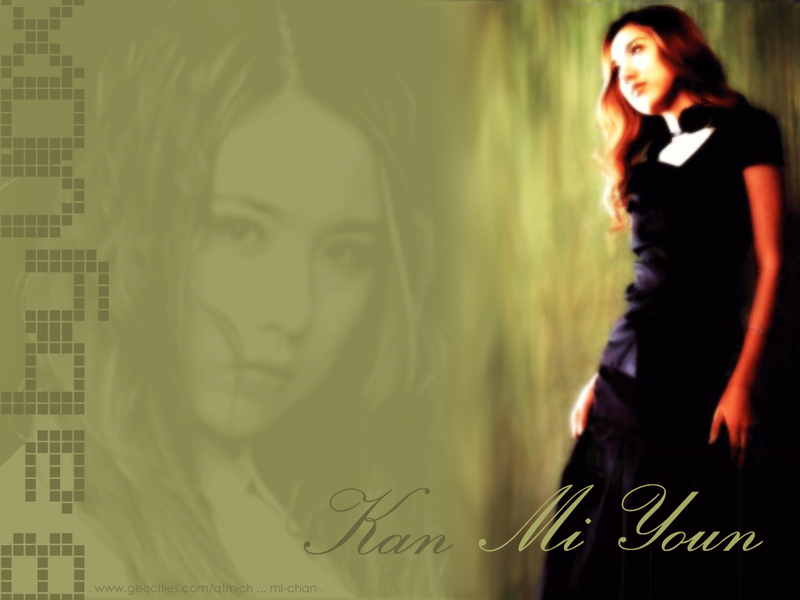 here's kan mi youn. oi. i dunno i had a hard time finding photos of her that i really liked. but i saw the one of her in the blue dress and i almost fainted. 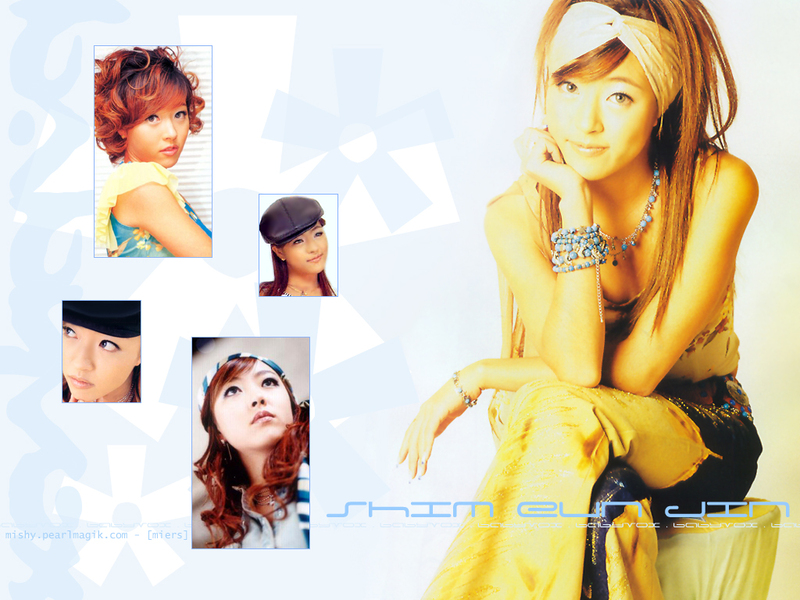 she looks so pretty >_< style's not what i usually do, but s'ok :D i'm using it right now as my desktop wallpaper. 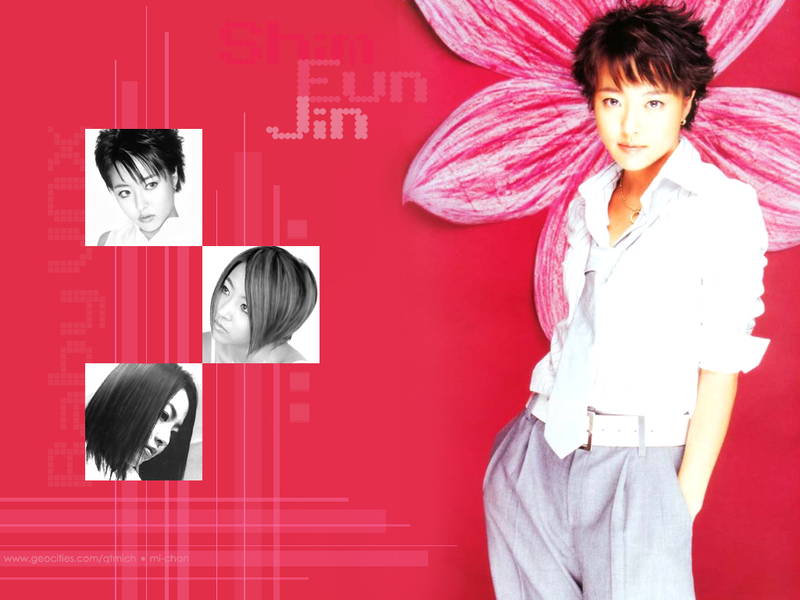 finally.. definitely happy with this wp unlike the one i made before. isn't she so pretty? >_< gEH. i wanna be a pop star. hehehe. anyway. i basically made this wp b/c someone stumbled across my webpage (wierd huh?) and complimented me on my wps. :O yeah.. chOU SHoku :X and he asked for another hee jin one. so i made it. and surprisingly, i love it >_< yAY. isn't she pretty? hehe. i dont think she gets enough attention in the group. it's always about Kim EZ or HeeJin. i made this wallpaper at the request of a friend. but i like the way it turned out ^_^ it is a LITTLE too pink for my taste. but it's still nifty. oooi so i made one of the whole group the first group wallpaper i've ever made. i guess it's easier than working with a bunch of pictures of 1 person. heheh. of course i used blue (my favorite color!) and some pictures i got from ailyna's eye teasers website and an image i got off the net somewhere that was originally a calendar image. she's my favorite girl from Baby VOX. i think it's b/c she looks like a doll. and everyone else likes Hee Jin and Kim EZ, and they're pretty but i dunno. i dig cute. 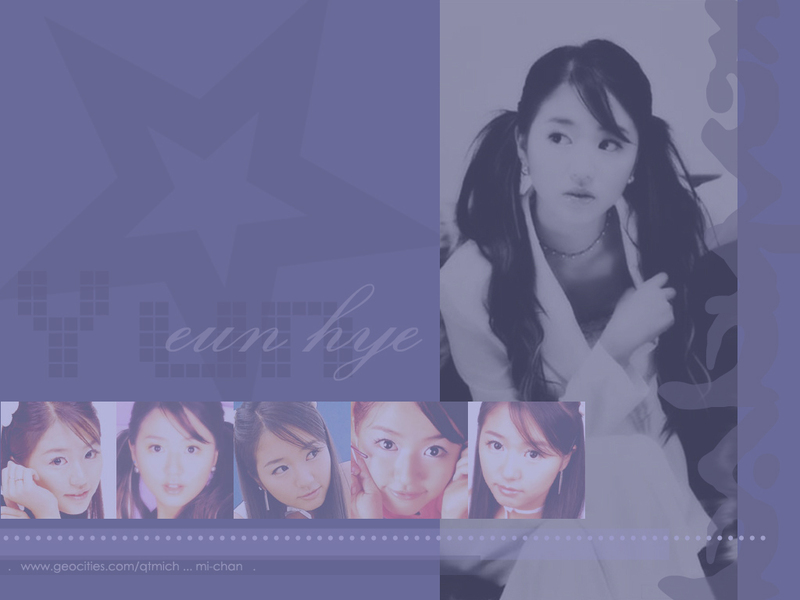 ^_^ ::makes big puppy dog eyes like Eun Hye:: but i'll do one for each of the VOX girls i think. hehe.